Guinness’s branding and marketing are also iconic, whatever one thinks of the beer itself, and the brewery has long stood alone as an oasis of dark beers in an international market laser-focused on bland pseudo-Pilsner. It deserves some kudos for that. 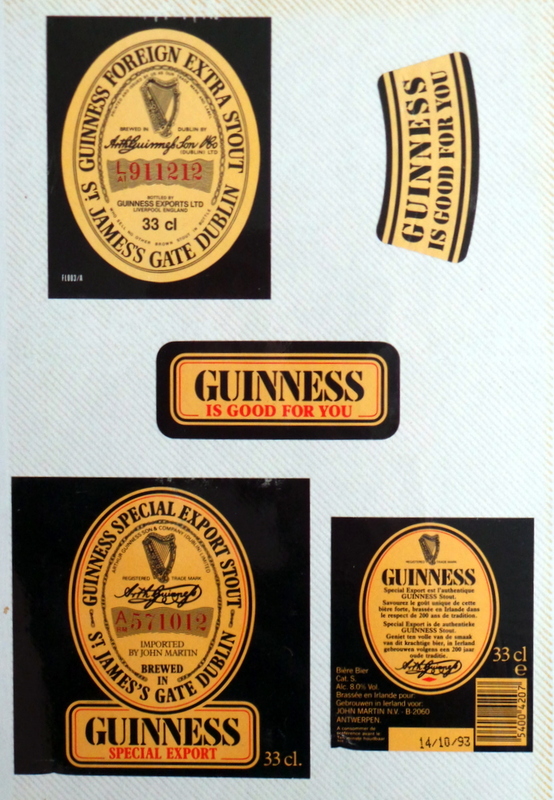 As a beer explorer and (back then) label collector, Guinness held further appeal for having numerous variants across multiple geographic markets and segments, some subtly different, some drastically so. These would occasionally turn up on shelves of adventurous off licenses and always provided some interest when travelling abroad. Many such variations still exist though the global range of “traditional” Guinness variations has shrunk in recent times with more regions being serviced directly from Dublin. 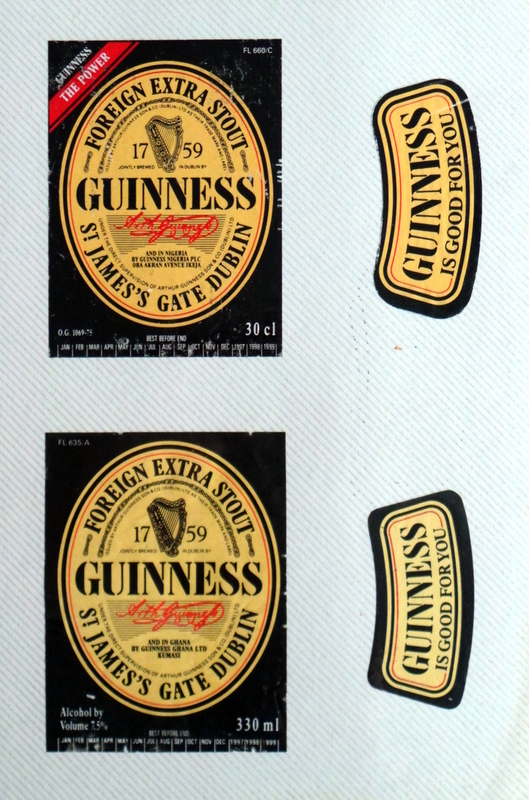 Many other versions of Guinness Extra have never landed on these shores and some may no longer exist. Guinness Extra in North America is a weightier 5% but otherwise similar while I’ve also drunk a 6.9% ABV Guinness Original in Australia made under license at Carlton & United Brewers (of Fosters and VB “fame”, though the contract recently moved to rival Lion) and a similar variant in Hong Kong. Other such beers are still found in the region today. I was always of the belief that “standard” Guinness in Germany was a Reinheitsgebot-compliant version to meet local expectations. I remember the beer as being fuller-bodied than UK Guinness, but that might just be fancy. I’m not sure if it’s still made. Or if it ever actually was all malt. It’s surprisingly hard to find out. Nowadays both Draught and Extra are filtered and pasteurised, even in their core markets of Ireland and Great Britain, though this wasn’t always the case. 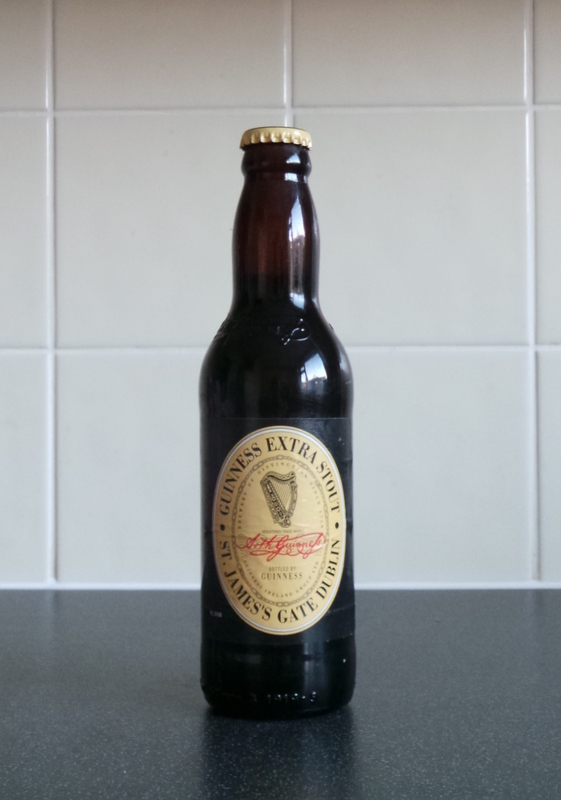 Guinness Extra, as described above, was known for being one of the five remaining bottle-conditioned beers in the UK at the time of CAMRA’s founding in 1971, along with Thomas Hardy’s Ale, Worthington’s White Shield, Gales Prize Old Ale and Courage Imperial Russian Stout. Today, the Guinness of most interest to beer aficionados is usually considered to be Dublin-brewed Guinness Foreign Extra Stout (often known simply as FES), which historically included a proportion of oak-aged, soured beer in its 7.5% ABV blend but nowadays is seemingly made with lactobacillus inoculation. However, Guinness Special Export Stout, made exclusively for Anthony (formerly John) Martin for the Belgian market, at 8% ABV but using only fresh beer, probably isn’t far behind. Both are worth hunting out if you’ve never tried them. As with Guinness Extra there are other FESs, sometimes at different strengths, around the world. These include versions made from local grains such as sorghum into which is mixed a concentrate sent over from St. James’ Gate. These can vary enormously in both ingredients and strength and not just between countries. 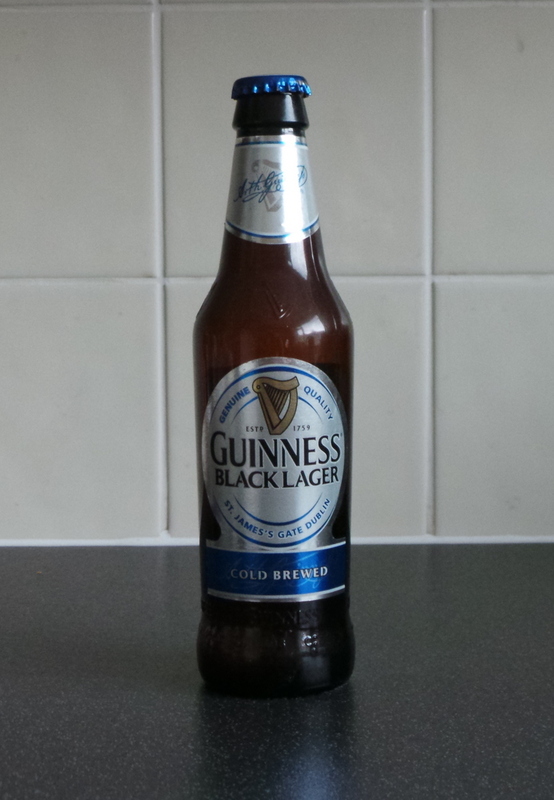 The infamous “Nigerian Guinness”, nowadays widely available in the UK, falls into this category at 7.5% ABV. I’m pretty sure this jet black liquid was 10.5% ABV when I first tried it back in the early 1990s, although I can’t confirm that. I do, however, remember three 600ml bottles of it making me rather unwell at a party once. Meanwhile, Ghana has a much sweeter interpretation of FES that can sometimes be found sharing shelf-space with its West African cousin in British off-licenses. If anything, though, the global range of “traditional” Guinness versions has shrunk in recent times with more regions being serviced directly from Dublin. This contrasts with greater speciation of Guinness brands overall, even if these new beers have rarely been runaway successes. 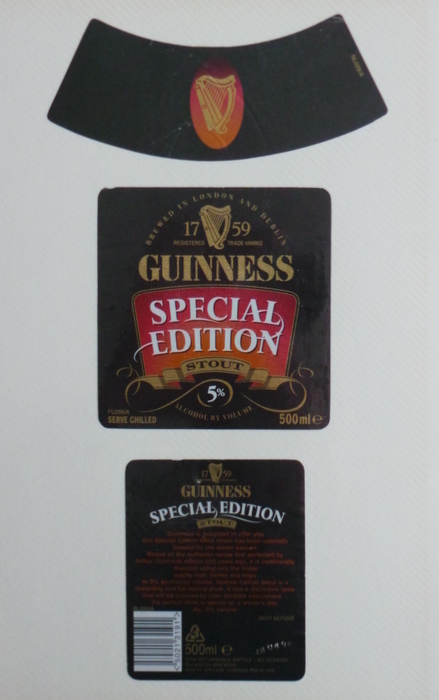 Leaving aside variations on Draught Guinness – such as Extra Cold, Draught Guinness in a can or bottle, and the daft Guinness Surger – these have included a number of variations on the stout theme to different recipes, often as limited editions to reward existing drinkers in key markets. 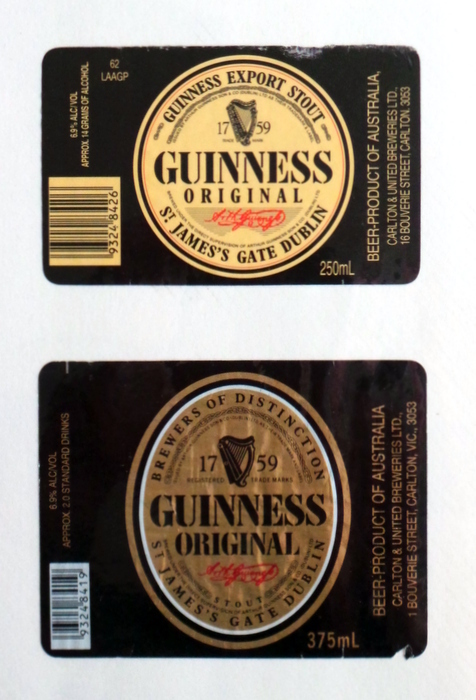 There have also been numerous extensions of the Guinness brand to different kinds of beer, often as a response to macro but often short-term market trends. The former approach has tended to result in the more interesting products. For instance, between 2005 and 2007 the company experimented in its home market with a number of limited edition draught stouts in its Brewhouse Series – I tried one but don’t remember which or much about it – though these line extensions clearly didn’t establish themselves and weren’t seen further afield. They have now disappeared. The UK has also seen a few limited editions of its own, including a 5% ABV Special Edition for the winter season in the late 1990s that I was able to try and was, from notes I’ve kept, considerably more bitter and roastier than the beer’s usual form. I was also fortunate to sample the cask-conditioned Harwood’s Porter (4.8 or 5.2% ABV), from Guinness UK’s now closed Park Royal brewery, during its brief existence back in 1995. This was the company’s only real ale in my lifetime and a fine brew from what I recall. Efforts at extending the Guinness brand to beers other than stout have also frequently lacked staying power, probably as a result of being more faddy. These have included Guinness Bitter for the UK market, an obvious response to British brewers adopting Draught Guinness-style nitrogen dispense for their own, generally paler, beers. This appears to have been withdrawn around 1997. It isn’t missed. Similarly, the 2000s saw Guinness Red. This was a late-in-the-day attempt to revive fortunes in the briefly buoyant UK market for so-called Irish red ales started by Caffrey’s and previously occupied by Guinness owner Diageo’s own Kilkenny Irish Ale. Enigma Draught Lager, also utilising the in-can nitro-widget, also died a death. However, some attempts to extend the Guinness brand beyond stout have clearly owed more to craft beer and the quality end of the market. These include the St. James’s Gate range of the late 1990s, which included a red ale, a pilsner, a dark lager and a wheat beer. These were test-marketed in Dublin and Cork pubs to compete with products from then new Irish microbreweries but were clearly too early to market and quickly disappeared without trace. I never tried them but would have if I’d encountered them. I first came across Guinness Black Lager, broadly in the German schwarzbier style, in 2010 via a work colleague living in Northern Ireland, since when it has spread across much of the English-speaking world, though I’ve never seen it in mainland UK. Meanwhile, the USA has recently gained the Guinness Discovery Series. The first beer, Guinness Blonde American Lager, is made with American ingredients but contract brewed, using Guinness’s yeast, at City Brewing’s Latrobe, Pennsylvania plant. I haven’t tried this one. So Guinness is far from being the one trick pony many drinkers might think it to be. Nonetheless, Guinness’s focus on its iconic-if-gimmicky Draught Guinness hasn’t done much to endear it to beer aficionados at a time when they are demanding bolder recipes and more authentic forms of dispense. It’s all too easy to take Guinness for granted and dismiss it, despite its history and innate interest value. Which may be the motivation behind the launch of Dublin Porter and West Indies Porter. At a time when interest in beer is at an all time high, Guinness may feel it has something to prove. Will drinkers be interested in Dublin Porter and West Indies Porter and what likelihood their success? That’s the question for part two of this article when I try the new beers, compare them to some of the old beers, and ponder on Guinness’s future direction. Next Next post: Lithuania, the final beer frontier?